must be torsionally stiff enough to transmit the left-hand crank’s torque without twisting excessively along its length. It must also be properly supported by the bottom bracket bearings, which should be placed as widely as possible to support the axle against bending; axle overhang is undesirable as it permits distortion and implies the existence of excess material. 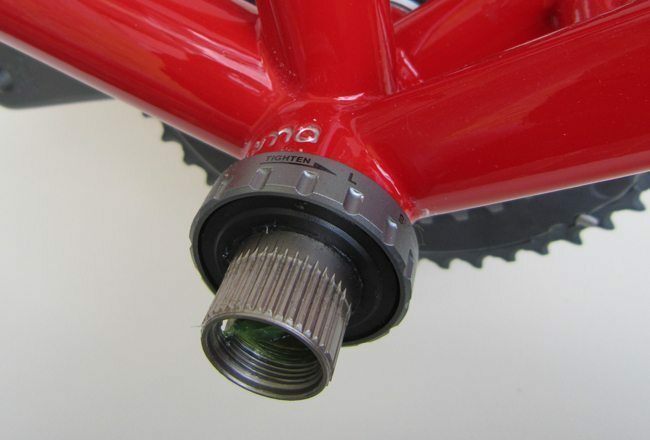 The bearings in turn rely on the rigidity of the frame to locate the bottom bracket shell so that it cannot move sideways under pedalling loads.